Quake builds a weekend experience that makes faith come alive for youth! 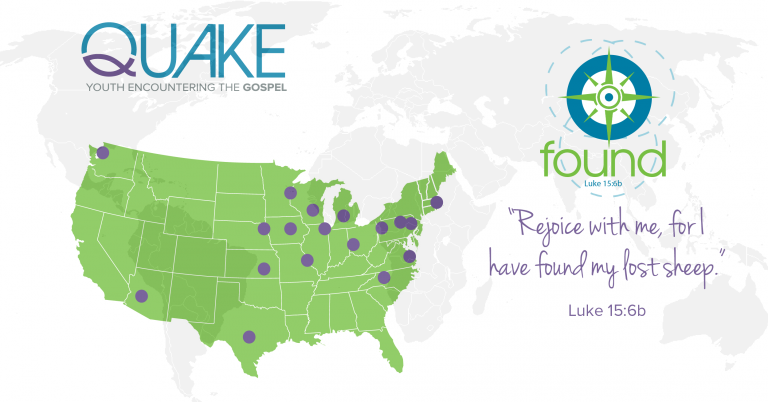 These regional events partner with youth leaders in local churches to help teens become established in their faith, empowered for Christian living and enabled to live a life of ministry and leadership. Life Promotions, under the leadership of Bob Lenz, has taken over the management and facilitation of Quakes and Zones and re-branded the events as Quake. Event starts on Friday at 8:00 pm (registration begins at 5:30 pm) and concludes on Sunday at 11:00 am. Click here or go to the Quake Facebook page for registration and housing details.